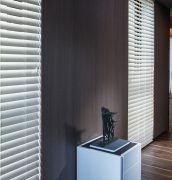 An alternative to the real wood venetian blind our faux wood is fully pvc offering a more durable and practical product, perfect for bathrooms and kitchens. 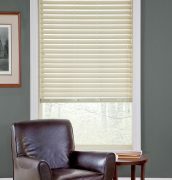 Easy to wipe clean and water resistant they offer a stylish dressing option to windows in a damp environment. 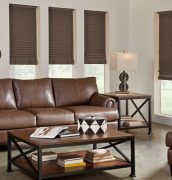 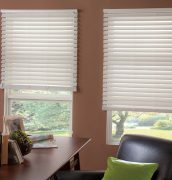 Available in a range of slat sizes and available with ladder tape to personalize your blind. 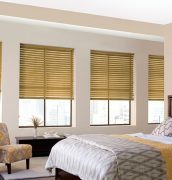 Perfect for the family home with a child safe system being fitted to every blind.